Holy crap, it's 2017! When did that happen? Yes, we were away for a few weeks. Whoops... I bet you didn't notice though, did you? As usual the holidays kept us all busy, so we had to put the show on hold. 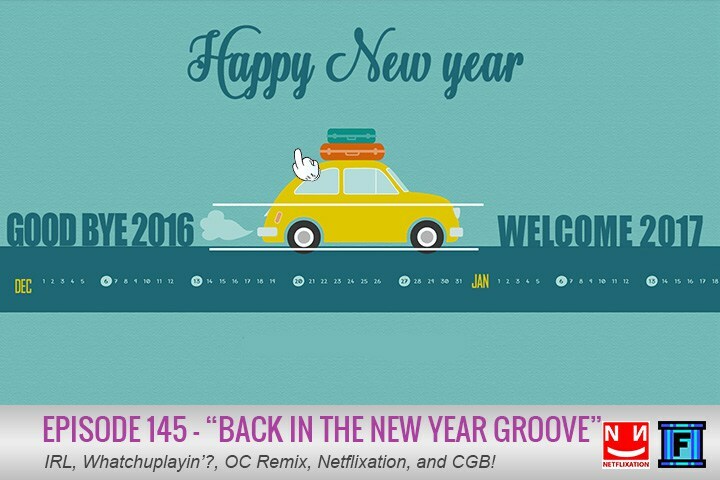 HOWEVER... we're back in the New Year groove, which means the return of IRL, Whatchuplayin', Netflixation, and Community Grab Bag!